Whataburger has provided consistency and quality to its customers since its founding in 1950. With the firm belief of quality over speed, customers often wait a bit longer than they would at McDonald’s, but enjoy tantalizing beef fresh off the grill. It’s the popular native burger restaurant cowboy! Whataburger has been an iconic fast food restaurant for the people of the South; and it continues to allure the natives and the people who visit South America. Who doesn’t know Whataburger after all? People always remember the restaurant’s unique getup such as its striped orange-and-white roof. Actually, most of Whataburger outlets still keep the A-frame architecture which the people have grown used to. 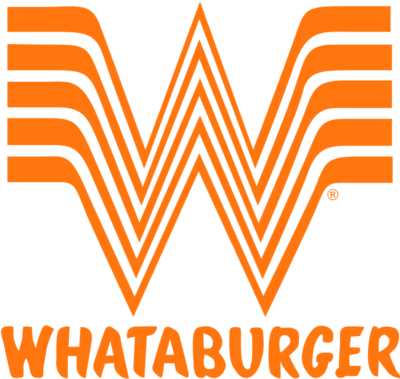 It’s frankly amusing how Whataburger has coped with modernization while keeping its roots. No doubt a lot of people still remain loyal to the restaurant; especially the cowboys who are the extreme fans. The South has seen how Whataburger has evolved; yet it still remains the crowd favorite. The good thing about it is, it still keeps some of its services that it first introduced. Just like the popular horse drive-thru! Whataburger is known to be so kind when it comes to horses (Texas is a horse town). People love the thought that it has parking areas for the horses and even accepts the horse drive-thru. They’re native of Texas anyway and it’s good to know they’ve loved how they serve their continent. Let’s not stop from the structures and services because Whataburger is more than that. Whataburger is known for its amazing burgers that local people love to order. They have the bite, the spice and the taste. Their menu is overwhelmed by a lot of burger varieties. Not to mention the ketchup that is now available in the market. The Whataburger that we know today started with Harmon Dobson and Paul Burton. They’re the founders of the burger restaurant that conquered the South. It all started with Harmon Dobson actually. He was an entrepreneur. It was after his stint as shipbuilder, oil driller, and diamond trader that he begun to think of establishing a business. Dobson decided to team up with Paul to make the burger restaurant that the latter planned. Dobson was clear about his mission: to create a burger that would take both hands to hold it and it tasted so good that when someone took a bite the customer would say “What a burger!”; and that’s how the Whataburger’s name started. It was in 1950 when finally Dobson was given the official trademark of Whataburger. So they opened their first outlet in Corpus Christi, Texas. They originally sold a burger for 25 cents. Aside from burgers, they also sold some drinks. However, the two partners had a little misunderstanding when Dobson decided to increase the burger list price to 30 cents. In 1951, the two ended their partnership. Burton agreed to take the Whataburger franchises in San Antonio. In few months, the restaurant was selling its burgers for 35 cents. The business started to grow until Joe Andrew Sr. became the first non-founder who acquired franchise in Alice. The first Whataburger in Florida was opened in 1959. Now, after 65 years, Whataburger continues to serve quality burgers to household. Since Whataburger is (mainly) all about burgers, it’s important for us to take a good look at their burger menu; they’re plenty of burgers to talk about. Picture a yummy, soft bun with lettuces, tomatoes, thick patties, pickles and a saucy sauce; wouldn’t it take much of your imagination? You might crave to death by the picture. I cannot blame you, Whataburger is really a powerhouse of yummy burgers all made from the freshest ingredients. Let’s start with the old and original (yet yummiest) Whataburger. This is the local favorite. It is made up of pure grilled and seasoned American beef topped with pickles, tomatoes, lettuce, diced onion and mustard; all covered with a 5-inch sweet bun. The simple yet delicious Whataburger will make you delighted. It can also be ordered in double or triple beef. The Jalapeño & Cheese Whataburger should not be left behind. Once we talk about this burger, we mean a better Whataburger. This is an improved Whataburger original added with jalapeños and cheese; one classic burger with two favorite fixings. If you love avocado, Avocado Bacon Burger is for you to order. This is offered in a limited time though. It’s made up of pure American beef patty, crispy bacon, diced onions, tomatoes, cheese, creamy pepper sauce and the amazing fresh avocado; all in a toasted slice. 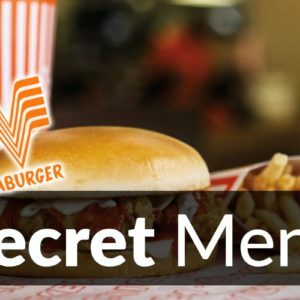 Whataburger has secrets to serve. Yet, let me tell you the Whataburger secret menu so that you’ll also experience the twist. Ever checked the Whataburger Hulk? If you haven’t yet tried one let me tell you that this refresher is simply good for the hot weather. Whataburger Hulk is probably one of the cutest green drinks ever. Only that it’s distinct taste is only exclusive to Whataburger. It’s like glow in the dark. It’s made up of Powerade and Vault soda. It will energize your body to the max. It is so popular that Facebook fans requested it to become an official menu. Another popular secret menu is the Hobey BBQ Chicken Strip Sandwich. It also gained fans! If we are going to define the sandwich in one word, it would be ‘Juicy’. This juicy sandwich is made up of fried chicken strips seasoned with a sweet barbeque sauce. First timers would totally order one after the other. It’s important that before we order one of Whataburger’s menu items, we’re sure that our doctors wouldn’t be irked. Patties are full of calories. We should follow the prescribed amount of calorie intake we should have a day. Check the nutritional information on nutrition. Whataburger offers their menu items at very affordable prices. You don’t have to worry about budget. They serve quality items at a reasonable price. If you want to check menu prices, you can check it on the secret menu or you may visit the nearest outlet in your place. 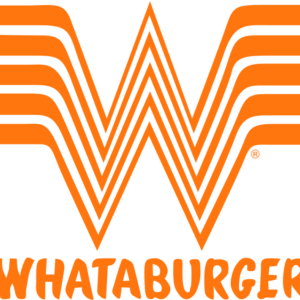 Whataburger operates with 750 outlets within the Southern United States. It’s a cowboy’s best restaurant so if you want to experience the incredibly delicious tasting Whataburger, jump in to the South. Whataburger store hours vary depending on the outlet’s location. But Whataburger drive-thru services serve 24 hours. You can enjoy the service whenever you want. Whataburger has over 22, 500 employees serving their customers with undeniable dedication and benevolence. You can check out their Career page for more information on how you can apply as one of their employees.